Lower Manhattan, NY (April 5, 2019) – According to police, an 81-year-old woman was killed after being struck by a shuttle bus Thursday evening, April 4th. The fatal accident was reported to have occurred at 6:53 p.m., directly in front of a residential building at 325 South End Avenue. Authorities stated that police arrived at the aforementioned location to find Arlene Kalfus, 81, suffering from severe body trauma and laying in the roadway, unconscious and unresponsive. Kalfus, who resided at the building, was tragically pronounced deceased at the scene. A preliminary investigation into the incident showed that the unidentified 57-year-old driver of a 2010 Ford shuttle bus had been traveling along South End Avenue after discharging passengers. The driver then struck Kalfus for reasons that have not been determined but remained at the scene to cooperate with authorities. The investigation into this incident is currently ongoing. The identity of the driver involved has not been released at this time. 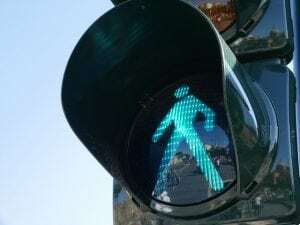 New York pedestrian accidents often prove to be fatal, particularly because there is zero protection between the vehicle and the victim at the time of impact. Before moving forward, we would like to extend our most heartfelt thoughts and prayers to the loved ones of Arlene Kalfus during this tragic and upsetting time. We understand that it can be extremely difficult for the bereaved family to focus on anything other than their emotional recovery during this devastating time. However, it is important to realize that you may have significant rights regarding compensation for your loss. At Hach & Rose, we are here for you 24/7 as we have made it our mission to hold negligent parties responsible for the pain and devastation that they inflict. If you have lost a loved one in a New York pedestrian accident, please do not hesitate to call 212-779-0057 today.